This latest round of protests started peacefully. 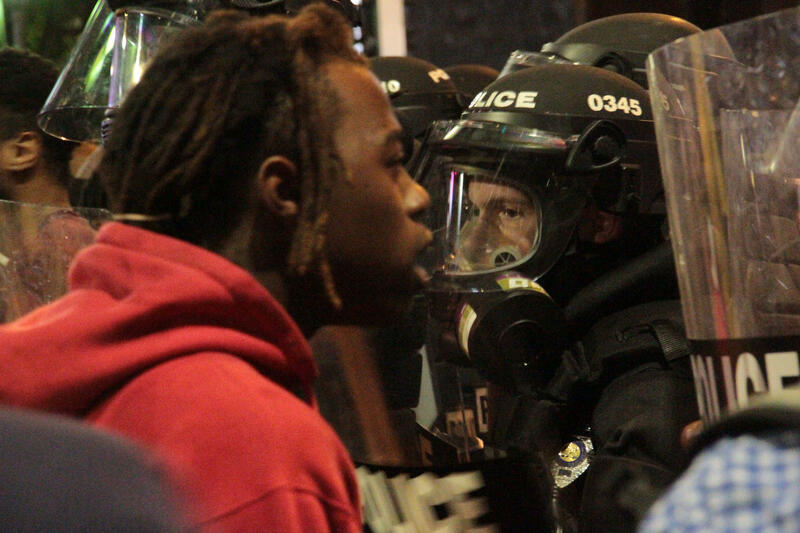 "It was all cool," said 31-year-old Eddie Thomas, "until riot cops came out. And once the riot cops came out, within five minutes, you had a man on the ground bleeding." Thomas is a public defender here in Charlotte. He came, he says, to help keep the peace between protesters and police. But the peace was not kept. "You know, I saw that young man on the ground. I saw his eyes roll in the back of his head." Thomas adds, "I’ll never get that image out of my mind." Thomas was talking about a still unidentified man who was shot and critically injured. 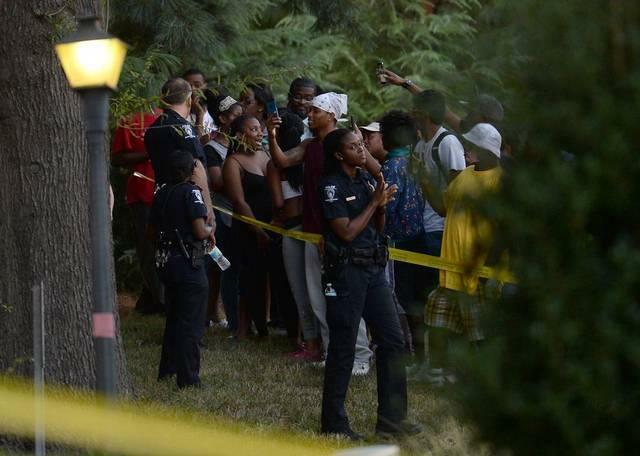 City officials say it was a civilian, not a police officer who fired the shot. But offered no further details. 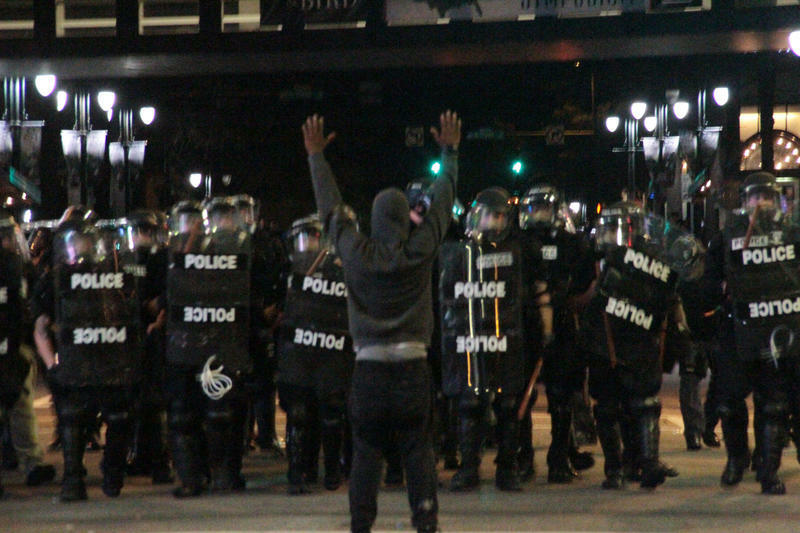 There were hundreds of protesters on the street Wednesday night. Originally, it was about the police shooting death of a 43-year-old African-American named Keith Lamont Scott. He was killed Tuesday afternoon. Police say he was holding a gun. His family says he was holding a book. But the anger over Scott’s death was quickly overtaken when word of Wednesday night’s shooting spread from person to person. They again blamed the police. "They’re trying to hurt us," yelled one protester. More riot police were called in, banging their batons against their shields as they walked in line before stopping at the intersection of College and Trade streets, where protesters met them, yelling, just inches from the officer’s faces. 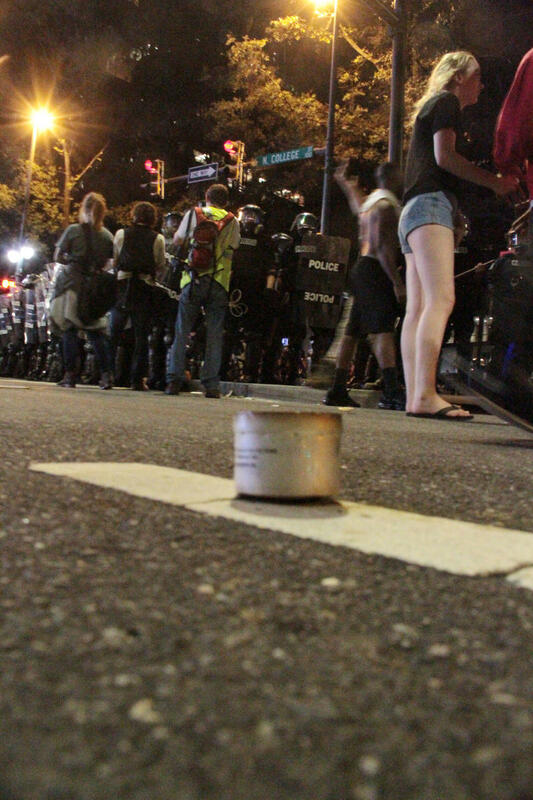 The police stood silently for a time, then threw concussion grenades and tear gas canisters. A steady breeze carried the gas throughout the crowd. Some protesters yelled "Run!" 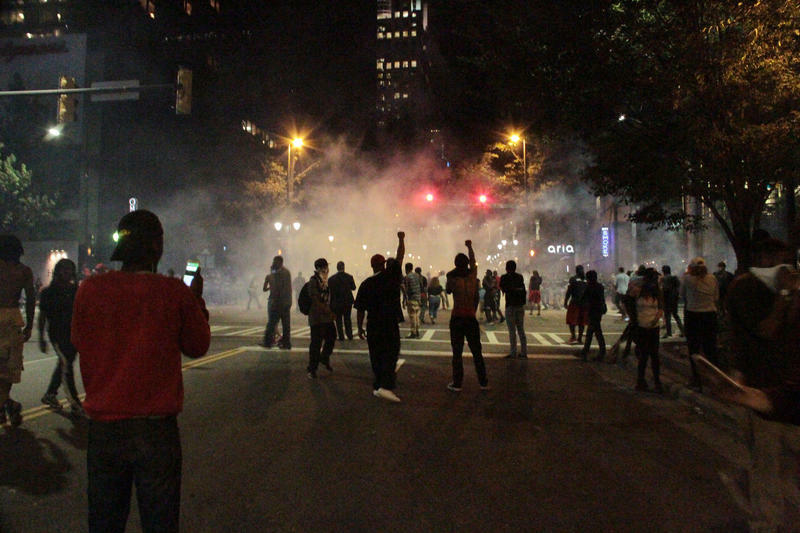 as they retreated down the street, regrouped and went back again and again. Most of the protesters were peaceful. But some threw bottles of water, trash cans even plants they ripped from the ground at police. They smashed car windows and doors. At least one officer was injured. Thursday, some businesses are telling their employees to work from home. And with the governor’s emergency declaration, members of the North Carolina National Guard will soon deploy on Charlotte city streets. 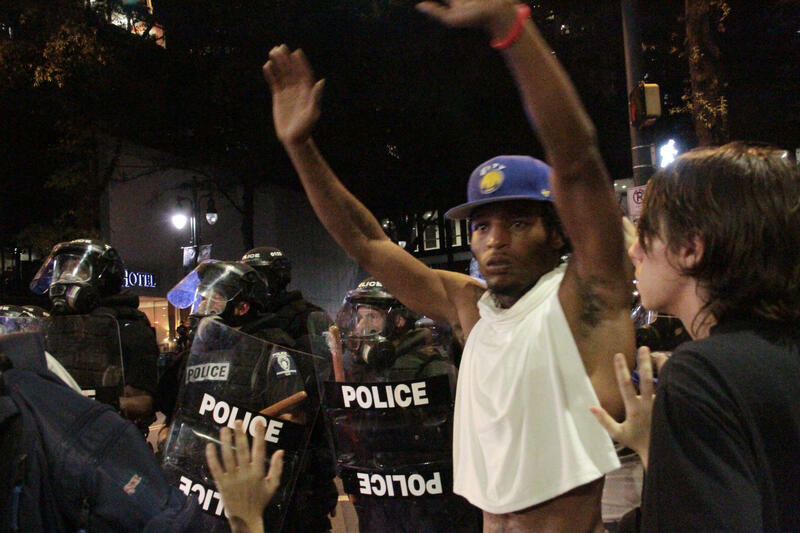 At least a dozen police were injured during protests in Charlotte, following the shooting death by police of an African-American man Tuesday. Police say he was armed, his family says he was not. WFAE's Gwendolyn Glenn has more. 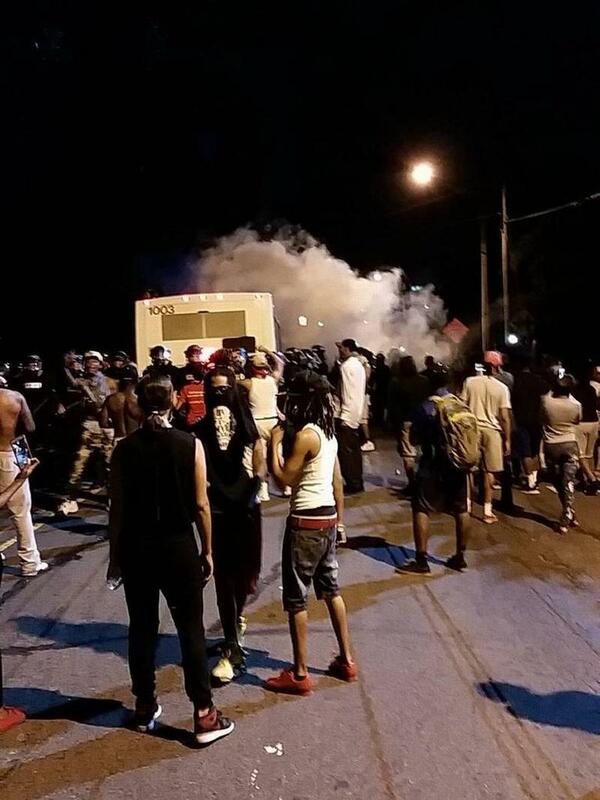 Roughly 1,000 protesters marched through portions of the University area Tuesday night and early Wednesday morning in response to a police shooting death of an African-American man. 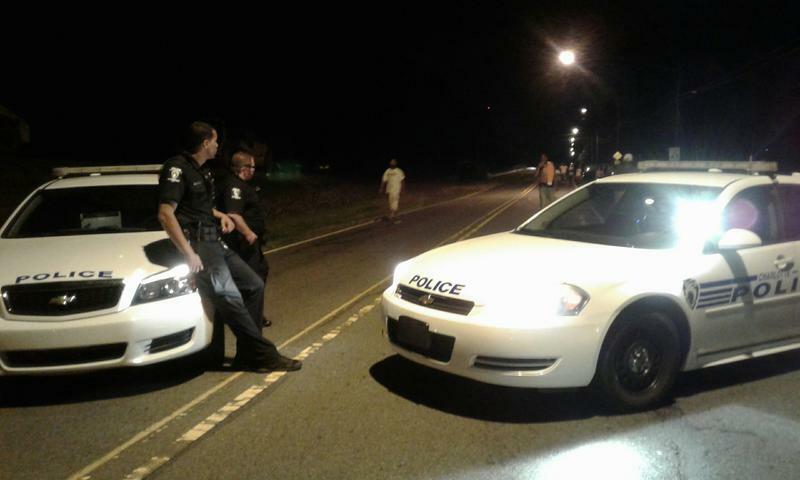 The streets leading into Old Concord Road were blocked off to vehicle traffic for much of the night, but pedestrians were allowed to walk to and from the protest site. 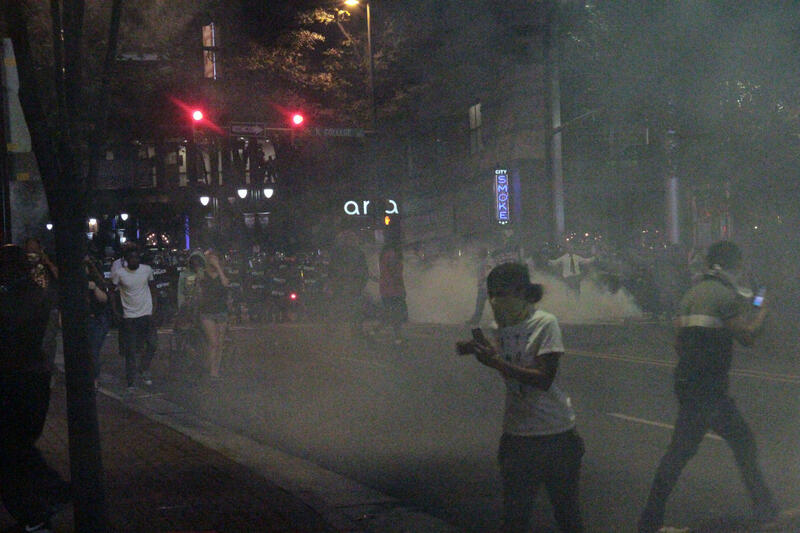 And as WFAE’s Gwendolyn Glenn reports, people were still heading to the scene after midnight with the smell of tear gas hanging heavily in the air. Charlotte Mecklenburg police chief Kerr Putney has given more details about a fatal police shooting Tuesday and his department’s response to protests later in northeast Charlotte.